1.) At this time, Hurricane Joaquin is expected to pass just off our coast. We’re hoping that track will continue. We’ll still have strong winds, rain and tidal flooding, but it will be much better than a direct hit. 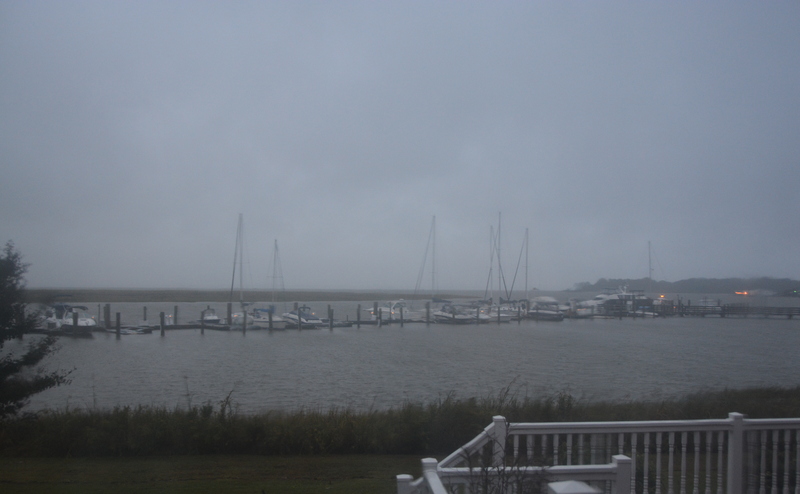 It’s been raining here for several days – unrelated to Joaquin. Yesterday morning, my rain gauge was full: 5 inches, and we could get 8 more. On a lighter note, yesterday, the Corolla Wild Horse Fund posted a picture of one of this year’s foals (born in May), with the comment: “This is the version of Joaquin we all love”. 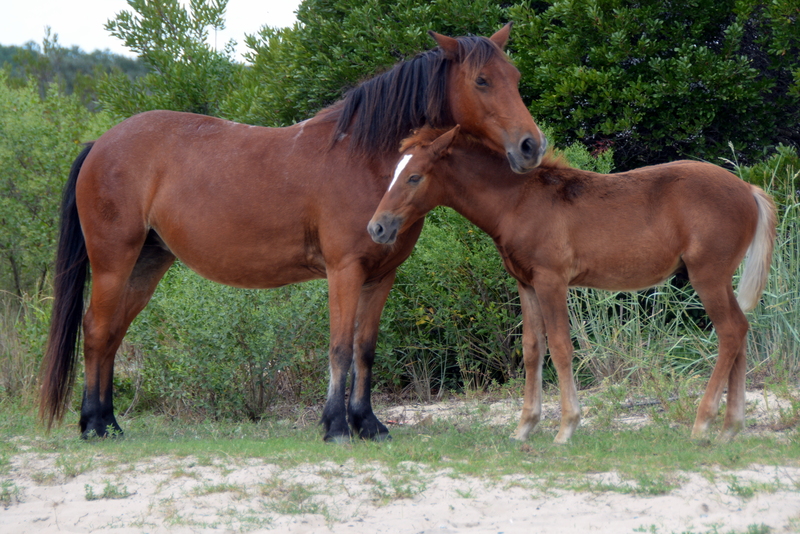 As it turns out, Joaquin is the foal in this picture I posted on Monday (and submitted as an entry in the 2017 Corolla calendar). It’s nice to know his name. Rest assured, I apologized profusely to Antoine, and he has received ample nourishment since that time. I’ve discovered that he likes “corn soup” (water and corn) in a repurposed Cool Whip bowl. And yes, he has now officially been IN our garage. The can to the left holds corn for him and his duck buddies, waiting outside. 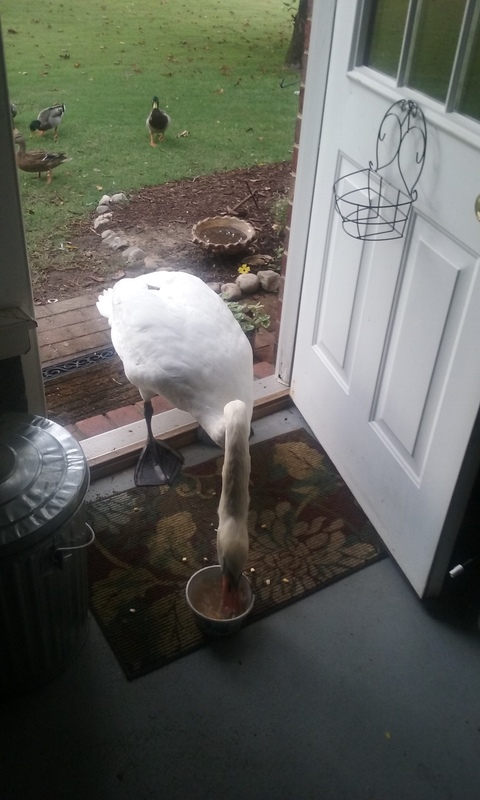 Doesn’t everyone have a swan in their garage? 3.) It’s usually around lunchtime each day when I get to our shop. 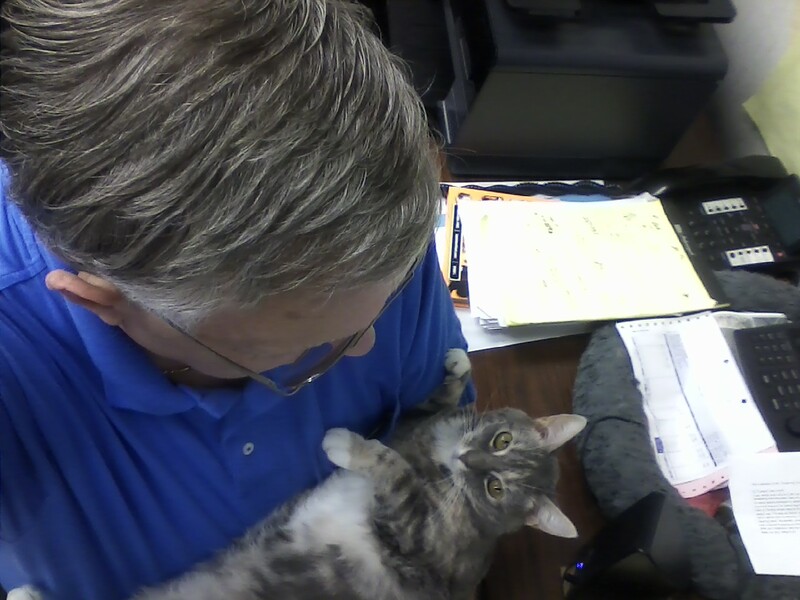 Most mornings, Motor Man will send me a pic of Gypsy – usually it’s a selfie of the two of them, and she’s lying on his chest. Wednesday morning, he was holding her and took this picture. Sweetness! 4.) Since I try to remember to always have my camera near at hand, that usually means that, when I’m in a vehicle, it’s on the floorboard. Wednesday afternoon, as I was getting out of the car, I bumped my camera with my foot, and it hit the asphalt pavement. My heart sank, but, thankfully, it seems to be fine. Whew! Close call. 5.) As I mentioned in an earlier post, this week marked five years that I’ve been blogging. I enjoy sharing pictures and snippets of our life with my readers. But, once in awhile, attempting to keep to a Monday, Wednesday, Friday schedule seems like having homework that must be done. So…don’t be concerned if my posts are a bit more sporadic. Blogging should be fun, not work. Isn’t that right, fellow bloggers? Happy weekend, and let’s all hope that Joaquin (the storm) heads out to sea.